“Yummy. Squishy. Fresh,” is the playful tagline for Hudson Valley Marshmallow Co., a marshmallow brand based out of small-town Beacon, New York. 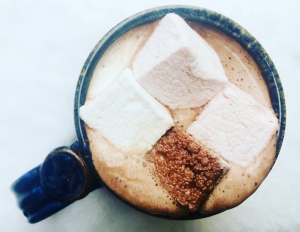 When the brand’s current owner, Brendan McAlpine, took over a popular bakery from his friend, he decided to see if he could take the business to the next level and get their locally loved products, specifically their marshmallows, placed in stores. 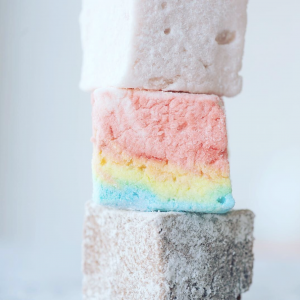 Learn how Hudson Valley Marshmallow Co. caught the attention of Whole Foods Market with their natural ingredients, creative flavors, handmade spirit, and a little help from RangeMe. When McAlpine stepped in to take over a local bakery that was closing after 12 successful years, he quickly realized that there was even more potential in the small business than he had anticipated. “At the time, marshmallows were one of the things the bakery made, but not the focus,” he says. But when McAlpine took a closer look at product performance, he noticed that the marshmallows were popular and could potentially be viable for retail. “I was pretty confident that with a few tweaks to the packaging and production I could take them from the boutique bakery setting to retail stores,” he explains. After signing up for RangeMe and getting Verified™, McAlpine made sure the brand’s profile was as engaging and visually appealing as possible, which he believes was key to his success on the platform. At their flagship bakery in Beacon, they love testing out new flavors in-store as a fun way to interact with their customers. They’ve tried out creative flavors like lemon meringue marshmallows, seasonal flavors like pumpkin, and even an everything bagel marshmallow, and in the coming year, McAlpine is excited to bring more of that creativity to Hudson Valley Marshmallow Co.’s retail products. “We’re hoping to expand our marshmallow flavors and release some new products, like s’mores kits, which we’re confident will be really popular with customers and retailers,” he says.